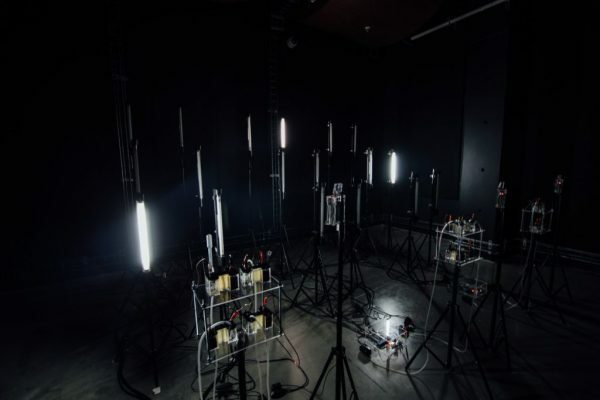 Micro-Ritmos Turns Bacteria and Machine Learning Into Spatialized Sound #piday #raspberrypi @Raspberry_Pi « Adafruit Industries – Makers, hackers, artists, designers and engineers! In the patterns generated by bacterial cells, Micro-ritmos discovers a new music and light. From the Mexican team of Paloma López, Leslie García, and Emmanuel Anguiano (aka Interspecifics), we get yet another marvel of open source musical interface with biological matter. Leslie, Paloma, and Emmanuel don’t just make cool performances. They also share the code for everything they’ve made under an open source license, so you can learn from them, borrow some sound synthesis tricks, or even try exploring the same stuff yourself. That’s not just a nice idea in theory: good code, clever hardware projects, and clear documentation has helped them to spread their musical practice beyond their own work.